What would a BMW coupe be without a convertible variant? 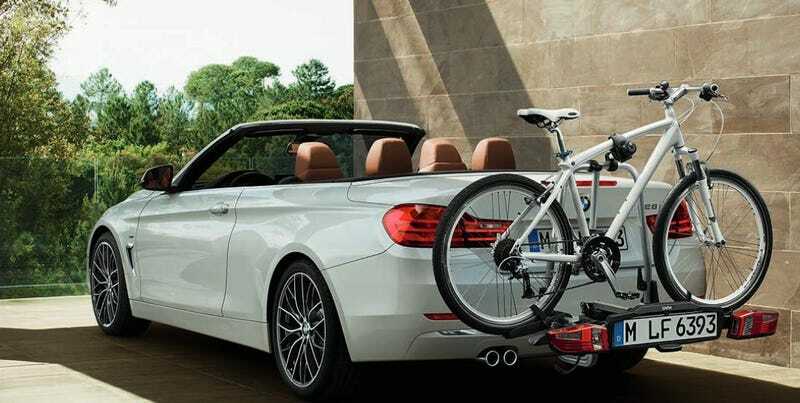 Ladies and gentlemen, you know the 2014 BMW 4-Series. Now meet its roofless version. Not really surprising at all, but not bad looking, either. The BMW 3-series coupe is dead. The BMW M3 Coupe is dead. Long live the BMW 4-Series. They report that a convertible version will be available for the 428i, 435i, and 420d diesel. Later, a droptop model will be available with all-wheel drive as well, and an M4 convertible is inevitable as well.